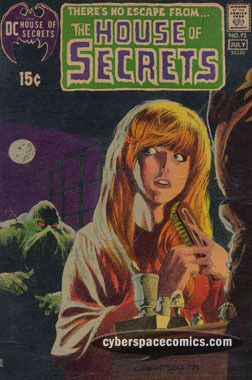 Swamp Thing debuted in House of Secrets #92 and went on to become the most prominent swamp monster in the history of comics. The limited [print run: 2,000] auxiliary variant of No Hero #6 paid homage to this classic. 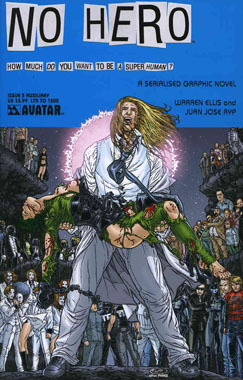 Crisis on Infinite Earths was a milestone maxi-series for DC Comics that established the new order of their universe for the modern age. 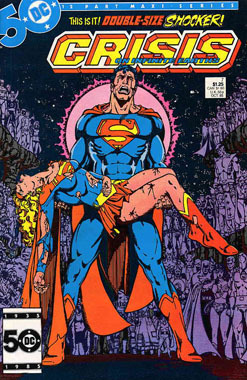 Issue #7 featured the death of Supergirl and told the origin of the Anti-Monitor. The limited [print run: 1,500] auxiliary variant of No Hero #5 paid homage to this classic. 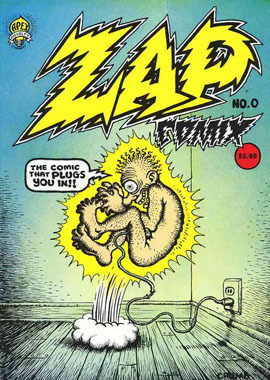 Zap put the underground comix movement on the map with the talents of Robert Crumb. 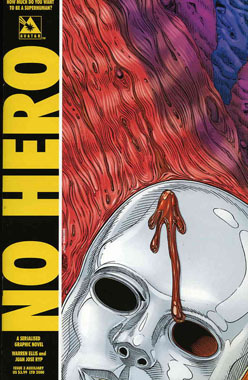 The limited [print run: 2,000] auxiliary variant of No Hero #4 pays tribute to Zap #0. 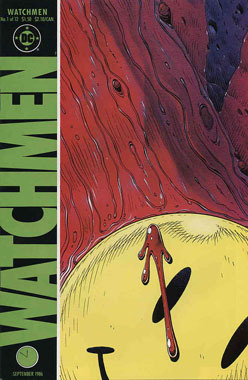 Alan Moore’s Watchmen set the bar high for comics and ushered in an era of realism in superheroics. 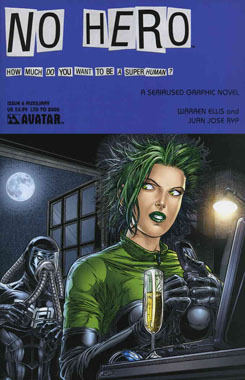 Its influence can still be seen in today’s comics. 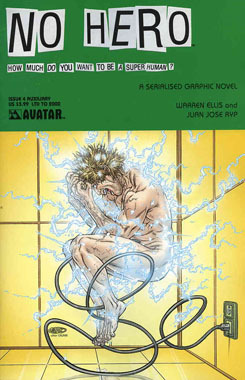 The limited [print run: 2,000] variant of No Hero #3 paid homage to this issue.